I borrowed The Little Book of Hygge from a friend as a way to motivate myself to be more "active" this winter by getting cozy, spending time with friends, and focusing on comfort. So often when the weather turns colder, I find myself hiding away at home, finding excuses to not go out. This winter I wanted to recommit to being more active like walks around the neighborhood with friends, making plans like crock pot dinner parties, basically finding ways to be comfy and still socialize with friends. 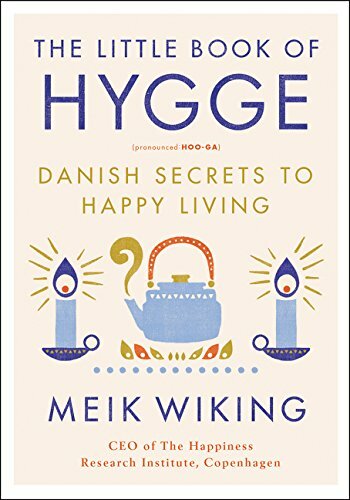 How do you hygge? What are you doing this winter to stay connected to friends and family, how do you take care of yourself/take breaks, and what are your best "get cozy" tips? I'd love to hear in the comments below! Let me know if you've read the book or have it on your list - clicking on the image below helps support this blog so thank you! I'll keep you posted with tips this week on how to stay organized so that you can get your hygge on this winter.